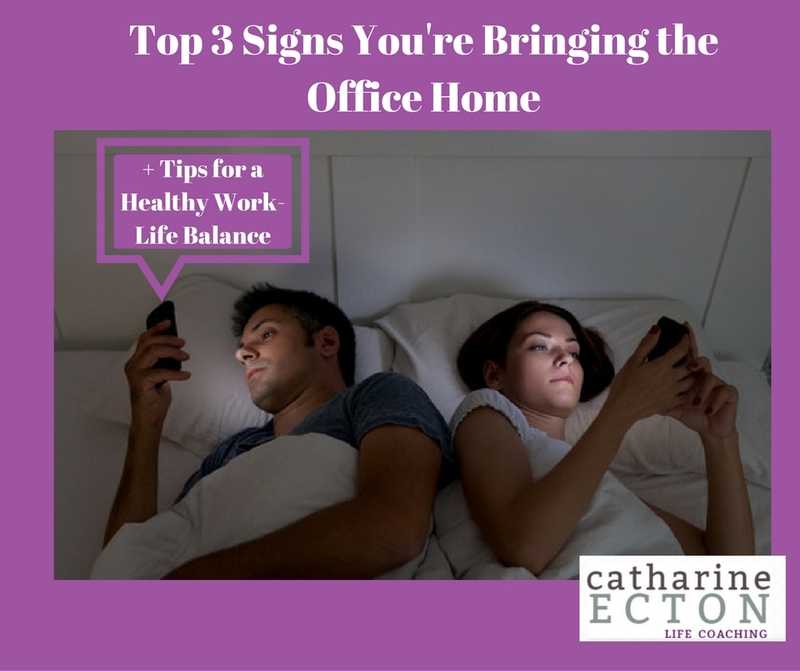 My hard-working Washington, DC life and career coaching clients often struggle with finding a healthy work-life balance, and “bringing the office home” with them. Most are high-achieving people, yet still unsatisfied with their lives. I put this list together to help high-achieving people learn to unplug from work and really begin to live their lives to the fullest. 1. Your family life, hobbies or outside interests are suffering. If you have nothing to talk about besides work, you are often late to family events or cancel on your kids, friends, spouse or friends you used to enjoy. Maybe you’ve stopped exercising or quit a personal hobby in order to achieve work goals. Perhaps your kids complain that you’re on your phone or computer too much. Any of these point to an over-focus on work at the expense of your home life. 2. 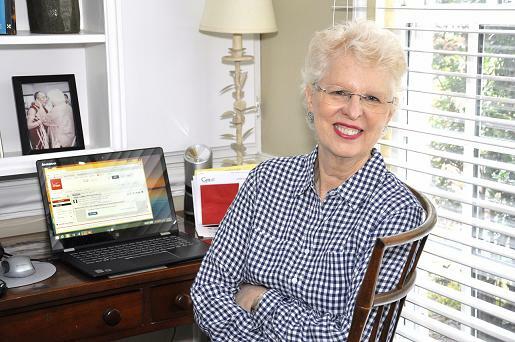 At work, you find yourself spending too much time on social media, or sidetracked by Facebook. Procrastination when you’re actually in the office could signal you’re putting in too many hours at home or on the weekends. You’re on overload and your brain needs a break. Instead of taking a real break outside the office, you’re sitting at the computer being unproductive. 3. You can’t get to sleep at night, or you wake up panicked about work. This is a classic symptom that you’ve brought the office home with you; you’re unable to let go and the stress is ruling you 24/7. Not pleasant! 1. When you first get home, put your phone, laptop and all electronics in a drawer for at least an hour and do something totally unrelated to work. This creates a little space between you and your work day. You’ll be able to prioritize the things you care about outside of work better after spending time regrouping. 2. Get outside, preferably somewhere other than a city street. A walk in nature does a lot more for you than simply help you relax, though in our fast-paced world that’s significant in itself. It can also boost the immune system, relieve stress, reduce blood pressure and heart rate, reduce fatigue and improve mood. Take a walk through natural surroundings like a park if you are urban (a city street has unfortunately been shown not to convey the same benefits!) and leave your electronics at home. This will fuel your creativity, which will actually help you achieve more at work. 3. “Unplug” by a set time every night. Have a set time when everything will be turned “OFF,” no exceptions. 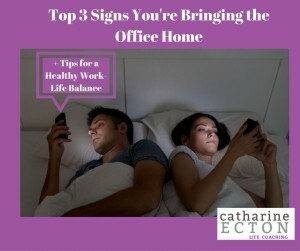 Sending email or messaging colleagues at odd times like in the middle of the night or in the wee hours of the morning destroys personal boundaries between work and home life, and signals that you’re always available. Why Leave the Office at Work? 1. Increase productivity / creativity. This has been scientifically proven! Down time is when you come up with your best ideas. Sleep is the most important time for your body to heal both physically (boosting anti-cancer cells) and emotionally (dreams to help you work through your daytime stresses). 3. You need a life outside of work! We’ve all heard the old adage, at the end of their life, no one ever says “I wish I’d worked more.” They often say they wish they’d spent more time with their family, been there for loved ones, traveled somewhere interesting or tried an activity totally unrelated to work. Also, how boring is it to talk to people who have no interests outside of work? Don’t be that guy. Get a life – if for no other reason than to have more interesting stories at cocktail parties! Through my work as a Life Coach, I’ve noticed that “workaholics” almost always have an issue with self-worth. They rely on external validation from bosses, colleagues and clients, work from a place of fear and allow others to determine their value. I work with my clients to instill an unshakable sense of self-worth which gives them the ability to set boundaries on their work life. They are then able to stay true to their most deeply-held values and work with a sense of freedom and abundance. Contact me for a complimentary, no-obligations life coaching consultation and we can work on helping you achieve a healthy work-life balance. Or use the Appointment Scheduler and pick a time that works for you for your free consult. I coach 90% of my clients over the phone, and my DC-based Life Coaching clients have the option of meeting with me in person. I look forward to hearing from you.